Boston Dynamics' robots keep getting smarter -- and soon they'll be available for purchase. 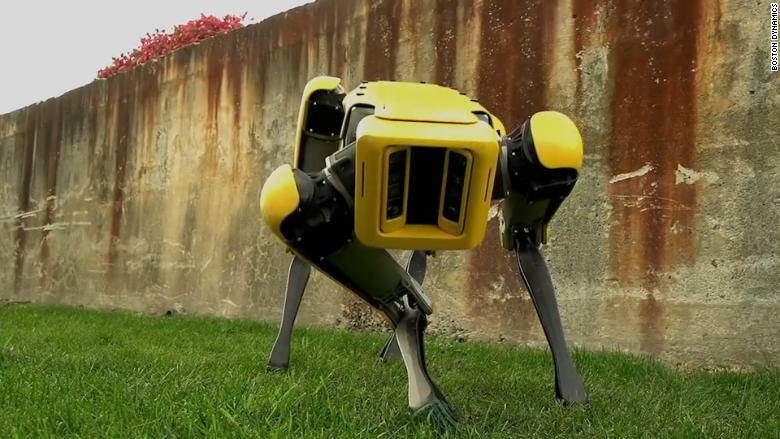 At a TechCrunch robotics event on Friday, Boston Dynamics founder Marc Raibert announced its robotic dog SpotMini is currently in "pre-production." The company will start selling the robots in 2019. It's unclear who will be able to buy them, and the cost has not yet been revealed. "SpotMini is in pre-production now," Raibert said. "We've built 10 units [of] a design that's close to [what] a manufacture will design. We've built them in house but with help from contractor/manufacture type people." At Amazon's robotic conference earlier this year, CEO Jeff Bezos posted a photo of him walking with one of the Boston Dynamics robot dogs. The company also released new video this week of the SpotMini and its humanoid robot Atlas showing off new moves such as running outdoors and navigating autonomously. The robots are increasingly able to move in a natural, smooth way. 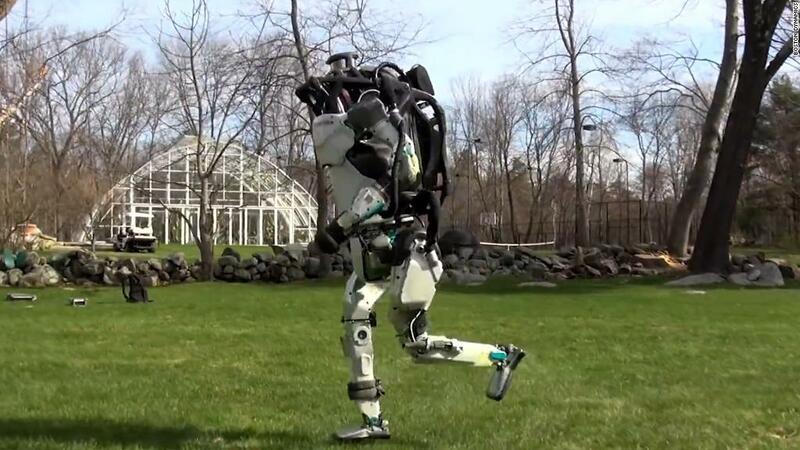 In another new video, the Humanoid Atlas robot -- which is nearly five feet tall -- is seen jogging outside on grass and jumping over a log. While the robot has to slow down and gingerly approach the obstacle, it successfully completes the jump. The terrain outside is uneven, and elevated at certain points. Atlas can also open doors, lift objects like boxes and do a backflip. Last year, Japan's SoftBank bought Boston Dynamics from Google's parent Alphabet (GOOG). At the time, Softbank said the acquisition would help it be at the forefront of "the next wave of smart robotics." The price was not disclosed.